Fri., June 29, 2018, 7:13 a.m. 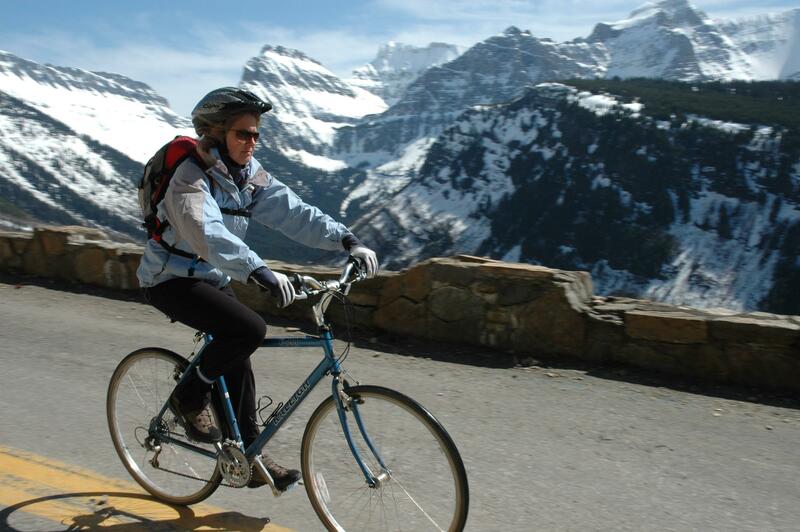 The Going-to-the-Sun Road in West Glacier, Montana, opened fully June 23. Visitors can now drive all 50 miles to access Logan Pass. Vehicles and vehicle combinations longer than 21 feet, and wider than 9 feet, are prohibited between Avalanche Campground and Rising Sun. Vehicles over 10 feet high may have difficulty driving west from Logan Pass due to rock overhangs. With vehicles back on the road, bicyclists are prohibited from riding between the Apgar turnoff near the Apgar Picnic Area and Sprague Creek Campground from 11 a.m. to 4 p.m. Bicycles are prohibited eastbound (uphill) between Logan Creek and Logan Pass from 11 a.m. to 4 p.m. Information on bicycle restrictions and average bicycle times may be found in the park newspaper available at park entrance stations, or online on the park’s bicycle information webpage. Current information about park roads, weather conditions, and visitor services are online at Glacier National Park’s website or by calling park headquarters at (406) 888-7800. Updates on parking and road congestion can be found on the park’s Twitter page. Published: June 29, 2018, 7:13 a.m.